Top dress or mix with regular feed. For each 1000 lbs. 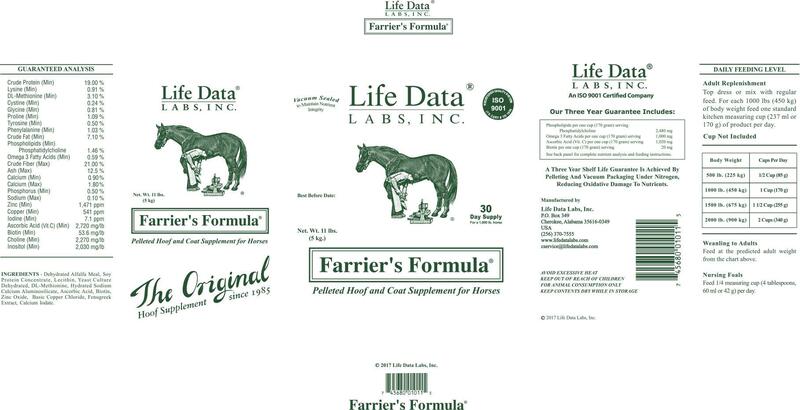 (450 kg) of body weight feed one standard measuring cup (237 ml or 170 g) of product per day. Feed 1/4 measuring cup (4 tablespoons, 60 ml, or 42 g) per day.